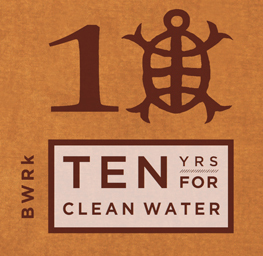 September 22, 2012 Black Warrior Riverkeeper’s 10th Anniversary Celebration at Good People Brewery in Birmingham, 2 to 8pm! September 10, 2012 Black Warrior Riverkeeper files a legal action petitioning the Alabama Surface Mining Commission (ASMC) to designate areas upstream of the Birmingham Water Works Board’s Mulberry Fork drinking water intake as lands unsuitable for surface coal mining. The petition opens another front in Black Warrior Riverkeeper’s ongoing fight to stop surface coal mining near the public water intake facility near Cordova that supplies water daily to 200,000 Birmingham-area residents. September 4, 2012 Supporting Black Warrior Riverkeeper’s position, the Birmingham City Council passes a unanimous Resolution imploring the Alabama Surface Mining Commission (ASMC) to deny a permit for the Reed Mine No. 5. June 6, 2012 Black Warrior Riverkeeper’s 10th Anniversary Celebration on the Bama Belle Riverboat in Tuscaloosa, 5:30 to 8:30pm. April 12, 2012 The Community Service Center at The University of Alabama names Black Warrior Riverkeeper intern Caitlin McClusky its Volunteer of the Year award winner. Caitlin is recognized at the awards ceremony for helping Black Warrior Riverkeeper and UA ECo oppose the Shepherd Bend Mine. In addition to Caitlin’s service, 214 volunteers generously donated 6,030 community service hours through Black Warrior Riverkeeper in 2011, a new record. March 17, 2012 Jenn Patterson, Program Director for Black Warrior Riverkeeper, wins the Alabama Rivers Alliance’s James Lowery Service Award at the Alabama Water Rally. March 13, 2012 Black Warrior Riverkeeper’s team places 2nd among 67 organizations and businesses in Impact Alabama’s “Birmingham’s Brightest Company” Trivia Contest. Team members include Brett Coburn, Bry Coburn, Stephen Coburn, Eva Dillard, Jay McSlarrow, and Mark Whiteside. March 1, 2012 At the historic Carver Theatre, Black Warrior Riverkeeper hosts the preview of “Deadly Deception II” by CBS 42. The commercial-free sequel to “Deadly Deception” continues CBS’ investigation of air, water, and soil pollution around North Birmingham. “Deadly Deception” subsequently wins the Alabama Broadcasters Association’s annual award for best local television program. February 27, 2012 Supporting Black Warrior Riverkeeper’s position, the Student Government Association at the University of Alabama passes a unanimous Resolution imploring the University of Alabama to stop the Shepherd Bend Mine. February 9, 2012Supporting Black Warrior Riverkeeper’s position, the Student Government Association at UAB passes a unanimous Resolution imploring the University of Alabama to stop the Shepherd Bend Mine. January 26, 2012 Supporting Black Warrior Riverkeeper’s position, Birmingham’s Avondale and Good People breweries simultaneously ask the University of Alabama to stop the Shepherd Bend Mine. September 13, 2011 Waterkeeper organizations Black Warrior Riverkeeper and Hurricane Creekkeeper (Friends of Hurricane Creek) file a lawsuit against Black Warrior Minerals’ Fleetwood Mine for water pollution in Hurricane Creek, a tributary of the Black Warrior River. September 2, 2011 Supporting Black Warrior Riverkeeper’s position, the NAACP Metro-Birmingham Chapter sends a letter to the University of Alabama opposing the Shepherd Bend Mine. 21 groups sign on to the letter, including Waterkeeper Alliance and all 7 of Alabama’s Waterkeeper organizations. July 28, 2011 Riverkeeper Nelson Brooke’s aerial photos and water samples help numerous media outlets inform the public that Walter Energy’s North River Mine coal slurry spill polluted the North River and Lake Tuscaloosa. May 17, 2011 Black Warrior Riverkeeper collaborates with the Alabama Rivers Alliance, the Southern Environmental Law Center, and the World Wildlife Fund in convincing American Rivers to include the Black Warrior River on its annual “Most Endangered Rivers” list. The listing brings national attention to current and potential coal mine pollution in the Black Warrior River watershed. April 11, 2011 Represented by the Southern Environmental Law Center, Black Warrior Riverkeeper files a lawsuit against the Alabama Department of Transportation for its flawed environmental study of the proposed Northern Beltline. March 24, 2011 Represented by the Southern Environmental Law Center, the Alabama Rivers Alliance, Black Warrior Riverkeeper and the Cahaba River Society file a motion to intervene in a permit appeal by the Business Alliance for Responsible Development filed against the Alabama Department of Environmental Management. The purpose of the groups’ intervention is to help defend the agency’s stormwater program for small cities. March 15, 2011 Supporting Black Warrior Riverkeeper’s position, the Birmingham City Council passes a unanimous Resolution imploring the University of Alabama to stop the Shepherd Bend Mine. July 9, 2010 Black Warrior Riverkeeper sends Notice of Intent to Sue to Birmingham Hide & Tallow for water pollution at Valley Creek, a tributary of the Black Warrior River near Bessemer. June 23, 2010 Facing pressure and detailed permit comments from Black Warrior Riverkeeper, the Smith Lake Environmental Preservation Committee, and many concerned residents along Smith Lake, the Alabama Surface Mining Commission denies National Coal of Alabama a permit to mine coal at the proposed Brushy Pond Mine. John Kinney, Black Warrior Riverkeeper’s Enforcement Coordinator, contributes a particularly useful history of National Coal’s astounding 9,758 Clean Water Act violations at its 7 Alabama mines. April 22, 2010 On the 40th Anniversary of Earth Day, Lewis Communications launches their 3-minute documentary about Black Warrior Riverkeeper. March 1, 2010 Nelson Brooke, staff Riverkeeper at Black Warrior Riverkeeper since 2004, wins the Alabama Rivers Alliance’s 2010 River Hero Award. February 16, 2010 The Birmingham Airport Authority fulfills the requirements of its pollution case with Black Warrior Riverkeeper, spending over $1.7 million implementing erosion controls and sediment controls at their runway extension construction site. As part of the settlement, the Airport donates $60,000 to the Freshwater Land Trust for conservation work along Village Creek. December 29, 2009 Black Warrior Riverkeeper and several allied organizations sign on to the Alabama Rivers Alliances’ petition asking the EPA to revoke ADEM’s Clean Water Act permitting authority. November 21, 2009 Black Warrior Riverkeeper joins the Protect Forever Wild Coalition, now known as Alabamians for Forever Wild. The coalition supports the reauthorization of Alabama’s Forever Wild Program. November 20, 2009 Represented by the Southern Environmental Law Center, Black Warrior Riverkeeper and The Friends of the Locust Fork River file a lawsuit challenging the Alabama Department of Environmental Management’s issuance of a permit for the Rosa Coal Mine on the Black Warrior River’s Locust Fork in Blount County. April 20, 2009 Black Warrior Riverkeeper and The Friends of the Locust Fork nominate 3,200 acres of land along the Locust Fork in Blount County for consideration of protection by Alabama’s Forever Wild Land Trust. Forever Wild strongly considers protecting the land, but the Birmingham Water Works Board oddly chooses not to give Forever Wild a chance to bid. December 22, 2008 Represented by the Southern Environmental Law Center, Black Warrior Riverkeeper files a lawsuit challenging the Alabama Department of Environmental Management’s issuance of a permit for the Shepherd Bend Mine, which would discharge coal mine pollutants out of twenty-nine ponds into the Mulberry Fork of the Black Warrior River, one being within just 800 feet of an intake for one of Birmingham’s major sources of drinking water, serving 200,000 people water daily. November 18, 2008 In Black Warrior Riverkeeper v. Cherokee Mining, LLC, the federal Eleventh Circuit Court of Appeals rules that a Clean Water Act citizen suit is not barred by a state administrative action commenced after a citizen group gives notice of its intent to sue to hold polluters accountable. November 3, 2008 Black Warrior Riverkeeper wins four international PayPal fundraising contests on MySpace, the world’s most popular website at the time, for a total prize of $10,000. Volunteers David and Lauren Whiteside lead the charge. November 1, 2008 The American Canoe Association names Black Warrior Riverkeeper its “Green Paddle Award” winner for 2008. October 28, 2008 Black Warrior Riverkeeper and The Friends of the Locust Fork River settle their lawsuit with Metro Recycling. The tire landfill agrees to stop its pollution, obtain a proper discharge permit, and donate $7,500 to the Freshwater Land Trust for a fish study on the Locust Fork. October 1, 2008 SweetWater Brewing Company launches its first annual month-long “Save the Black Warrior” campaign in Tuscaloosa and Birmingham to raise money and awareness for Black Warrior Riverkeeper’s efforts. July 8, 2008 Representing Black Warrior Riverkeeper, attorney David Ludder files a pro-bono legal action regarding the Alabama Department of Environmental Management’s dubious penalty payment agreements at the Hanceville Wastewater Treatment Plant. Water pollution at Hanceville WWTP had polluted Mud Creek, a tributary to the Black Warrior River’s Mulberry Fork. Ludder’s action ensures greater statewide transparency in ADEM’s penalty payment scheduling. May 30, 2008 Black Warrior Riverkeeper settles its lawsuit with Alabama Biodiesel. The company agrees to stop polluting, obtain a proper discharge permit, and donate $27,500 to the Freshwater Land Trust for the restoration of habitat for the vermilion darter, an endangered species found only in the Black Warrior River watershed. May 12, 2008 Black Warrior Riverkeeper sends Notice of Intent to Sue to the Pleasant Grove South Mine for water pollution at Lost Creek, a tributary of the Black Warrior River’s Mulberry Fork in Walker County. September 5, 2007 The Alabama Rivers Alliance, Black Warrior Riverkeeper, the Friends of the Mulberry Fork, Wild South, and individual citizens file a lawsuit challenging the U.S. Army Corps of Engineers’ permit for a dam on the Duck River, a tributary of the Black Warrior River’s Mulberry Fork near Cullman. August 30, 2007 Black Warrior Riverkeeper and The Friends of the Locust Fork River file a lawsuit against Metro Recycling‘s tire landfill for unpermitted water pollution discharges, including carcinogens, into an unnamed tributary of White’s Creek, a tributary of the Black Warrior River’s Locust Fork near the town of Locust Fork. August 30, 2007 Black Warrior Riverkeeper files a lawsuit against Alabama Biodiesel for unpermitted oil and grease discharges into Carthage Branch, a tributary of the Black Warrior River, right next to Moundville Archaeological Park. The New York Times covers the story, the first water pollution case against a biofuel facility in the U.S.
August 25, 2007 Alabama Environmental Council names Black Warrior Riverkeeper their “Conservation Organization of the Year” for 2007. June 4, 2007 Black Warrior Riverkeeper sends Notice of Intent to Sue to Elk Corporation for water pollution in the Black Warrior River in Tuscaloosa. June 1, 2007 Black Warrior Riverkeeper launches its new website through the support of Baird Castleberry of New Merkel Consulting Group. May 30, 2007 Black Warrior Riverkeeper alerts the public about problems with Jasper and Birmingham’s drinking water supplies due to excessive bromide discharges by Umicore Specialty Chemicals in Arab. The Birmingham Water Works Board had to shut down their Mulberry Fork water intake at Shepherd Bend for months due to Umicore’s upstream pollution. May 16, 2007 Black Warrior Riverkeeper sends Notice of Intent to Sue to Quinton [coal] Mine for water pollution in Burnt Cane Creek, a tributary of the Black Warrior River’s Mulberry Fork near Dora. May 1, 2007 Alabama’s Higher Ground Roasters launches a new coffee blend called Black Warrior Riverkeeper Roast. Black Riverkeeper receives 10% of the sales of this blend, which is certified organic, fair-trade, and shade grown to preserve habitat. Higher Ground Roasters soon wins National Micro-Roaster of the Year. April 3, 2007 Black Warrior Riverkeeper files a lawsuit against the Birmingham Airport Authority for water pollution in Village Creek, a tributary of the Black Warrior River’s Locust Fork. October 26, 2006 Black Warrior Riverkeeper sends Notice of Intent to Sue to the Arab Sewer Board for sewage pollution in Riley Maze Creek, a tributary of the Black Warrior River’s Mulberry Fork. May 19, 2006 Black Warrior Riverkeeper sends Notice of Intent to Sue to Brookside Village Wastewater Treatment Plant for sewage pollution in Newfound Creek, a tributary of Five Mile Creek, a tributary of the Black Warrior River’s Locust Fork. March 31, 2006 Black Warrior Riverkeeper sends Notice of Intent to Sue to Blountsville HCR Lagoon for sewage pollution in Blue Springs Creek, a tributary of the Black Warrior River’s Mulberry Fork. March 24, 2006 Alabama Rivers Alliance names Black Warrior Riverkeeper their “Watershed Group of the Year” for 2006. February 9, 2006 Filmmaker Arthur Crenshaw hosts the premiere of his Village Creek documentary, produced by David Whiteside. In the film, Robert F. Kennedy, Jr., Lorraine Bracco, Robert Klein and several local experts discuss pollution issues in this tributary of the Black Warrior River’s Locust Fork. Village Creek was an early source of drinking water for Birmingham, but became too polluted for that use. December 22, 2005 Black Warrior Riverkeeper sends Notice of Intent to Sue to Moundville Lagoon for sewage pollution in the Black Warrior River, right next to Moundville Archaeological Park and the local public boat launch. August 27, 2005 Charles Scribner publishes Black Warrior Riverkeeper’s first newsletter. To read all past issues, visit the newsletter archives. August 15, 2005 Black Warrior Riverkeeper sends Notice of Intent to Sue to East Walker County Sewer Authority for sewage pollution in the Black Warrior River’s Mulberry Fork near Sumiton. Black Warrior Riverkeeper’s similar legal action against the Cordova Wastewater Treatment Plant follows shortly thereafter. April 3, 2005 Black Warrior Riverkeeper hosts its second major fundraiser event, with speeches by Jon Fishman, Robert F. Kennedy, Jr., Robert Klein, and David Whiteside. The televised event takes place at the University of Vermont, where Whiteside focused his senior thesis on founding Black Warrior Riverkeeper. November 10, 2004 Black Warrior Riverkeeper sends Notice of Intent to Sue to the Alabama Department of Corrections’ Donaldson Correctional Facility for discharging raw sewage for over eight years into Big Branch, a tributary of Valley Creek, a tributary of the Black Warrior River’s Bankhead Lake in West Jefferson County. Our action prompts the Alabama Attorney General to file suit in state court on January 7, 2005, an action which pre-empted our ability to file suit in federal court. On February 11, 2005, BWRk intervened in the AG’s suit, ensuring a seat at the table to hold Donaldson accountable. The state unfortunately utilized sovereign immunity and never fined the DOC. However, numerous upgrades at the treatment plant were required and installed, including a 100,000 gallon surge basin to keep raw sewage from flowing into Big Branch. August 4, 2004 Black Warrior Riverkeeper sends Notice of Intent to Sue to Vulcan Materials’ Bessemer Quarry for water pollution in Fivemile Creek, a tributary of Valley Creek, a tributary of the Black Warrior River. February 17, 2004 Black Warrior Riverkeeper hosts its first major fundraiser, an opening night cast party organized around Lorraine Bracco starring in the Broadway play, “The Graduate.” Bracco subsequently makes a Black Warrior Riverkeeper public service announcement with Arthur Crenshaw, Robert F. Kennedy, Jr., Robert Klein, and David Whiteside. September 16, 2003 The IRS approves Black Warrior Riverkeeper’s application for 501(c)(3) tax-exempt status, officially making Black Warrio Riverkeeper a tax-exempt nonprofit organization. Bookkeeper Kerri Nichols annually assists our Executive Director and Accountant in preparing reports for the IRS and other agencies. May 7, 2003 The Birmingham News announces the Sloss lawsuit’s historic settlement. Sloss agrees to pay $2,000,000, including property donations along Five Mile Creek. A local land conservation organization (now known as the Freshwater Land Trust) receives the settlement payment. September 30, 2002 Black Warrior Riverkeeper files its first lawsuit (in partnership with the Alabama Rivers Alliance and the Legal Environmental Assistance Foundation), suing Sloss Industries Corporation for industrial water pollution in File Mile Creek, a tributary of the Black Warrior River’s Locust Fork in Birmingham. April 4, 2002 Roger Conville signs Black Warrior Riverkeeper’s Articles of Incorporation, maintained by our Board of Directors. Black Warrior Riverkeeper’s Executive Director subsequently renews a business license with the City of Birmingham each year.